FRANK LESLIE'S ILLUSTRATED, New York, Oct. 10, 1885 The full ftpg. 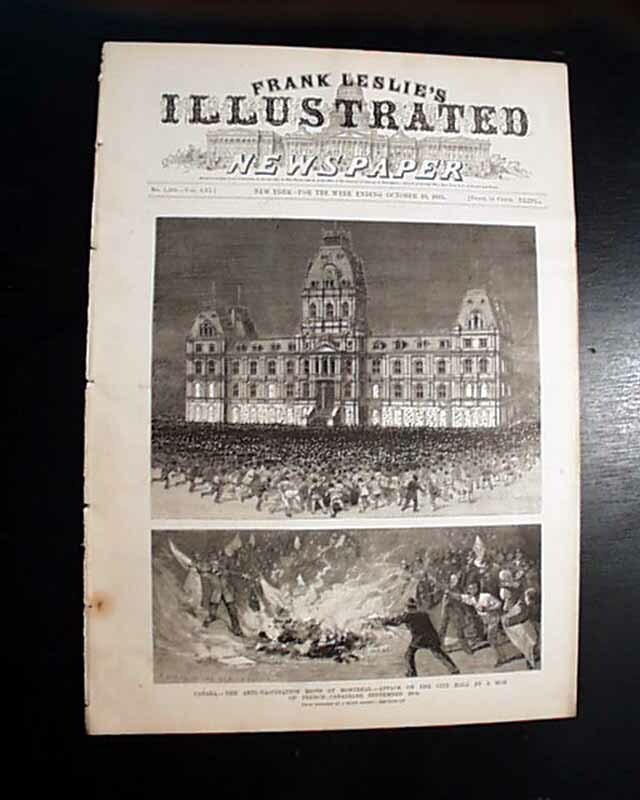 has 2 prints on: "Canada - The Anti-Vacciation Riots at Montreal...". The prime print inside would be the very nice halfpg. 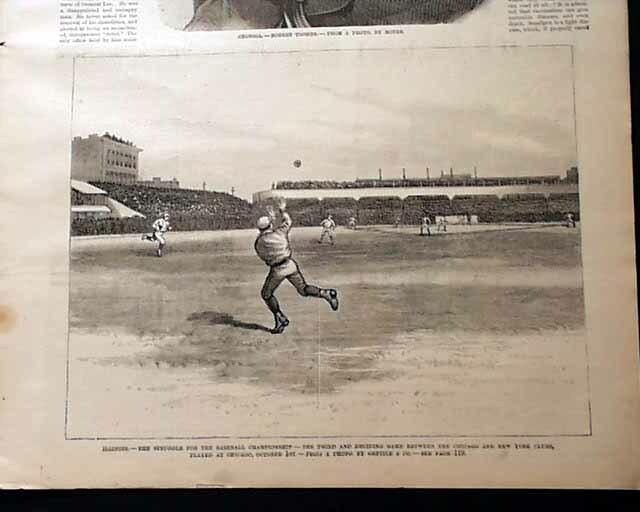 captioned: "Illinois - The Struggle for the Baseball Championship - The Third & Deciding Game Between the Chicago and New York Clubs..." which shows an action scene on the ball field (see). Also within: "Georgia - Robert Toombs" and a nice doublepg. 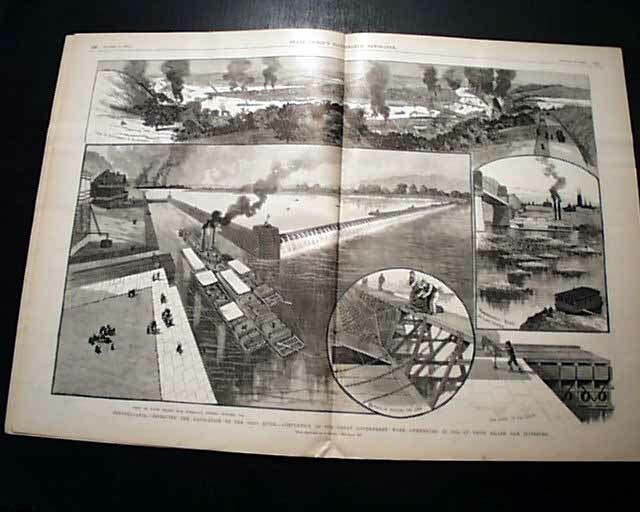 centerfold being a montage of 4 prints on: "Pennsylvania - Improving the Navigation of the Ohio River - Completion of the Great Work...at Davis Island Dam, Pittsburgh".